Downtown New York is known for the tourist attractions and the bars. However, when there are more bars than people to select from, things can either become a hot mess or an utter drink fest. 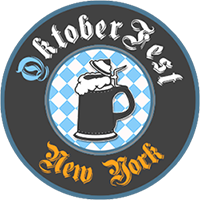 With the help of Watermark Bar, you can now join in on their fourth annual OktoberFest celebration, which starts on Friday, September 21st. Running for four consecutive weekends (9/21 – 9/23; 9/27 – 9/30; 10/4 – 10/7; 10/11 – 10/14) from 12PM to 12AM, OktoberFest at Watermark Bar in New York’s South Street Seaport at the end of Pier 15 will be featuring six variations of Munich brewed beer that’s solely made for the sake of OktoberFest. To accompany the beer, German bites such as giant pretzels, bratwurst, and knackwurst galore will be available for purchase, since drinking on an empty stomach’s never a smart idea. In between eating and drinking, there’ll be ping pong to play in addition to super family-friendly games, stein holding contests, and a keg-tapping ceremony held on the first Saturday evening (9/22). In terms of admission, general admission is free and open to the public with all food items and single beers ringing up at $10/a pop. 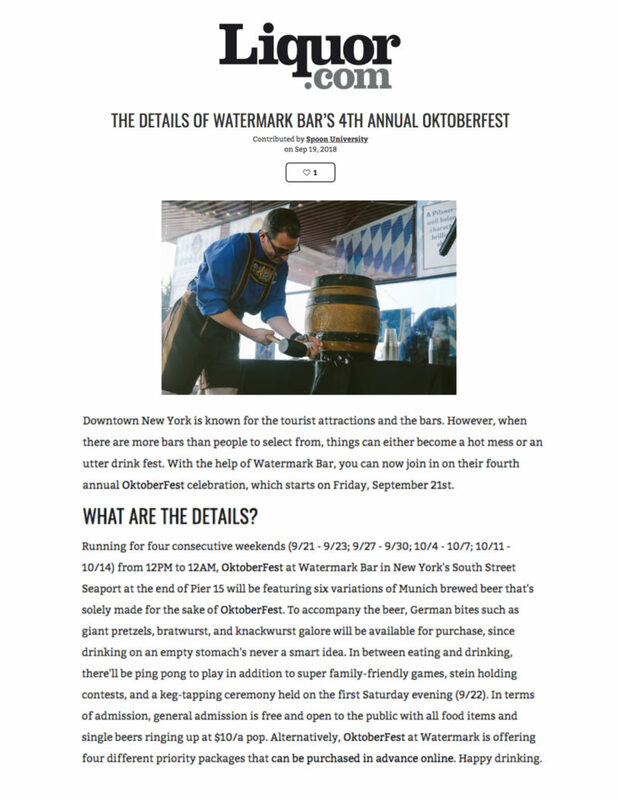 Alternatively, OktoberFest at Watermark is offering four different priority packages that can be purchased in advance online. Happy drinking. © Copyright 2015 Watermark. All Rights Reserved.